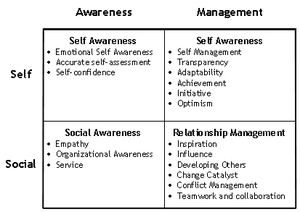 As you can see, the model builds on Goleman’s 2x2 framework for the various competencies. I have dropped several of the competencies less important to project management like Transparency, Achievement, and Change Catalyst. I also created a separate category for Team Leadership and moved several competencies into that. 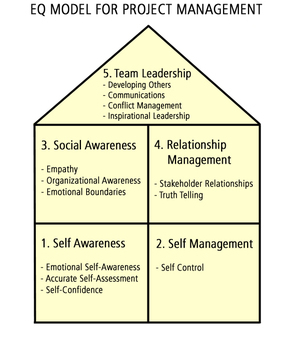 This is the model I use for project management and one that will be referenced in this blog.